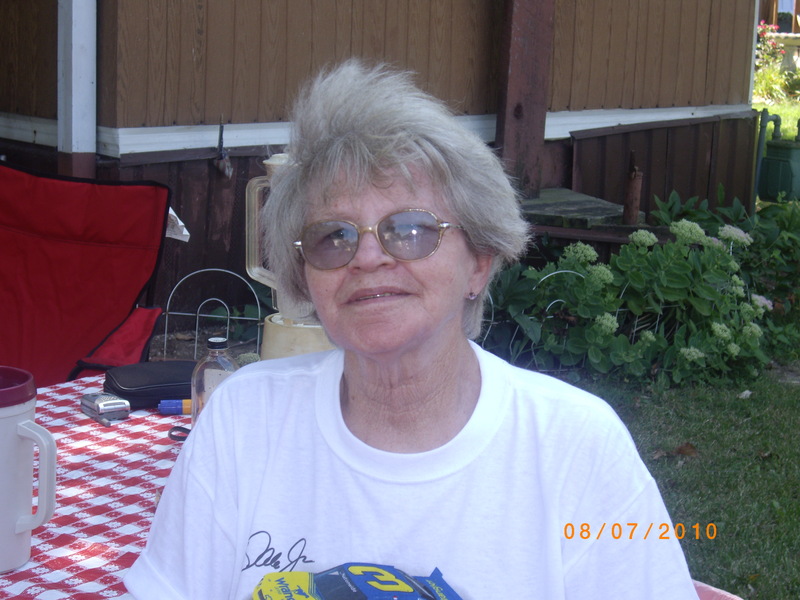 Ruth (Yarnell) Pilot, age 72, of Harrisonville, Missouri, passed away on Monday, March 31, 2014, at her home. She was born on July 31, 1941, to Reynard and Dorothy (James) Yarnell in El Dorado Springs, Missouri. Ruth was saved in a revival at Pleasant Ridge Missionary Baptist Church in Pacetown. In 1959 she married Donald L. Schmidt. To this union two children were born: Wanda and Russell. Preceding Ruth in death were her parents, Reynard and Dorothy Yarnell. Survivors include her ex-husband and loving friend, Donald L. Schmidt; her daughter, Wanda Parham and husband, Donal J., of Harrisonville, MO; her son, Russell Schmidt, of Harrisonville, MO; four grandchildren: Jacob Schmidt and wife, Andi, of Creighton, MO; Dustin Parham and wife, Becky, of Kansas City, MO; Danielle Parham, of Garden City, MO; and Samantha Schmidt, of Texas; two great-grandchildren: Haleigh Schmidt and Bentley Schmidt; two sisters: Dolores Schuchman and husband, Carl, of El Dorado Springs, MO, and Mickie Fife and husband, Steve, of Branson, MO; two nieces: Janet Lasley and Jeanne Nikodim and husband, Jim; and nephew, Dale Lasley, and wife, Kelly; and great-niece, Ashton Lasley, and many other friends and loved ones. Funeral services for Ruth Pilot will be held on Thursday, April 3, 2014, at 11:00 a.m. at Bland-Hackleman Funeral Home with Bro. Everett Smith officiating. A visitation will be held from 10:00 a.m. until service time. Interment will follow at Hazel Dell Cemetery under the direction of Bland-Hackleman Funeral Home. After the graveside the family will meet for lunch at the Lions Club on 1109 S. Jackson in El Dorado Springs.